It was an historic weekend for GRC at Clubs, with epic performances on the team and individual level. The women get top billing for their 10th place finish, which is the best in GRC history, and which came against the highest quality field ever to compete at Clubs. On the individual level, Frances made one heck of a GRC debut, as her 8th place finish was without a doubt the best performance in a GRC singlet of all time, bar none. Frances was mixing it up with the best runners in the country right from the gun, and she beat a whole lot of full-time professionals. As impressive as Frances’s performance was, she’s just getting started, so keep your eyes on that young lady in the weeks and months to come. While it certainly helped to have Frances leading the charge, our 10th place finish was truly a team effort, and we had excellent runs from the entire crew. Kristin proved once again that she has developed into a national caliber runner by placing 91st in 21:41, a huge 6k PR. Kristin is going to take a well-earned break after her amazing (and long) season, and the PR train will get rolling again this winter. Lindsay shrugged off her injury-induced lack of training to finish 93rd in 21:42, and fought all the way to the tape despite becoming woozy in the final mile. Lindsay is a superior cross country runner, and she brought all of her experience and toughness to bear on Saturday. 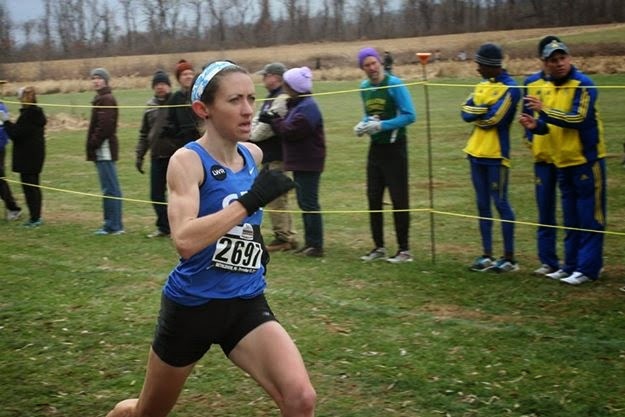 Sara ran her best race in a GRC jersey by far, finishing 137th in 22:29, and now that she has made the difficult transition to post-collegiate running, we are going to see great results from her on the track. Tina was 176h in 23:00, and proved once again that she can compete at a very high level at distances that are outside of her comfort zone. Emily surprised herself with an excellent 23:13, and capped off an outstanding first season with GRC. Every one of our women came through when it counted, and I am extremely proud of their performance. The men placed 13th, and while they hoped to get back in the top 10, there is no question that 13th place this year is more impressive than 9th place last year, as the field was loaded, and we were missing two high A team runners who intended to run due to unfortunate circumstances. Knowing that there was no margin for error, each of the A team men did their part. Mike led the way, placing 69th in 30:45 on a course the organizers stated was 200 meters long. This was the best cross country race of Mike’s life, and he will be ready to crush his club records on the track this spring. Luke was 92nd in 31:09, and while his aggressive early pace came back to bite him later in the race, Luke gave it absolutely everything he had, and fought to the bitter end to help his team. Kevin was 101st in 31:15, and he executed his go-out-slow early, run-hard late race plan to perfection. Sam was 105th in 31:16, and he delivered his best race of the year in front of his home town crowd. Matt Rand was our fifth man, placing 122nd in 31:26 in his best performance in a GRC singlet. Ryan was 139th in 31:37, running strong the whole race, and unleashing his big kick at the end. Our second wave was led by Paul in 32:04, followed by Stewart in 32:41, Tom in 32:54, Sean in 32:55, Sebi in 33:18, Dave Wertz in 33:19, Charlie in 33:30, Joe Wiggy in 33:43, Dickson in 33:48, Fridge in 33:55, Dave O in 34:03, and Murph in 35:17. 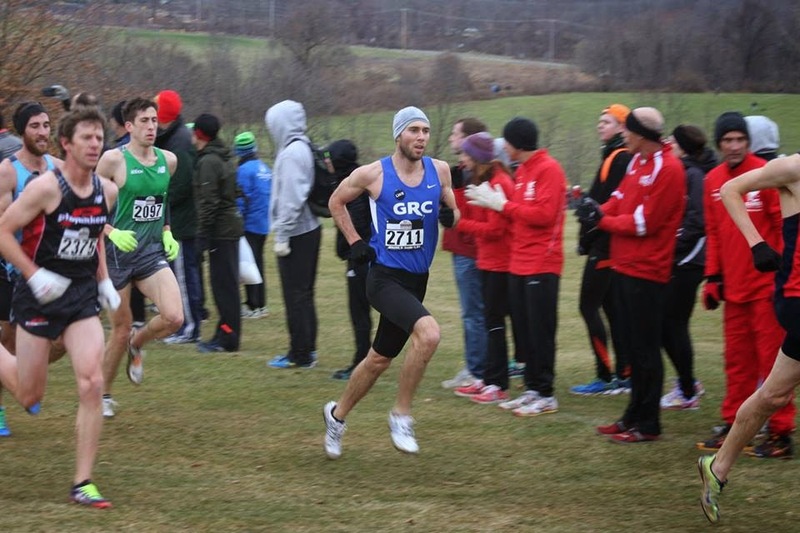 I was extremely pleased with all of these performances, especially those of Tom and Dave O. Tom is a miler who had never broken 35 minutes for 10k at the beginning of the fall, and he continued his breakout season with a confident, controlled race. Dave O gave an inspiring speech on Friday night about his quest for redemption on Lehigh’s course, and backed it up by running like a man with something to prove. Clubs is a very important race for us, as it is our one opportunity each year to compete as a team against a national-caliber field, and every one of our athletes represented GRC with pride and distinction. I was extremely pleased with our performance, and I’m confident that we made a statement about the quality and cohesiveness of our team that was heard loud and clear by our fellow competitors. Well done! Most of you are taking a little time off right about now, but for those of you who are still rolling, we’ll have practice at BCC on THURSDAY at 6:45, so meet for the warmup at 6:00. Let me know if you’ll be there, and we’ll get a plan together.